Last edited by bubbalo; April 15th, 2019 at 11:44 AM. Bubbalo, the list of the 2018 data that you said you were going to post, because the last one could not see the data. Thank you for you share your data with us. You don't rob a bank just once. What's with the big drop in Mumbai (and Delhi)? 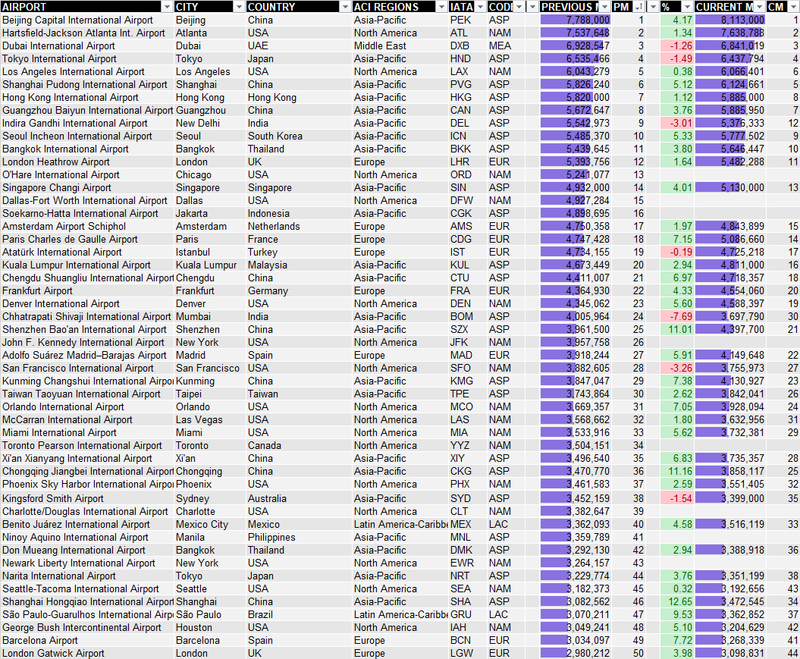 One of the airlines is going bust and BOM and DEL are its primary and secondary hubs respectively. They airline might get revived though. On top of this, both BOM and BLR had prolonged runaway closures during Feb/ Mar. Indigo, the largest domestic carrier have been curtailing frequencies due to pilot shortage. Air India is hit by airspace closure by Pakistan, adding multiple hours to its West bound flights and hence suspending some flights. And of course, 737 MAX couldn't have come at a worse time, making SpiceJet to cancel many flights. 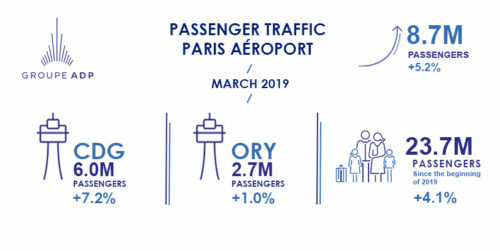 Airport closures were in March, so these numbers (Feb) don't reflect that. Going forward, yes, we can expect some bad numbers, relatively speaking, for March. I know its little bit off topic but I have to say I am amazed (not in a good way) about the speed of statistical release. 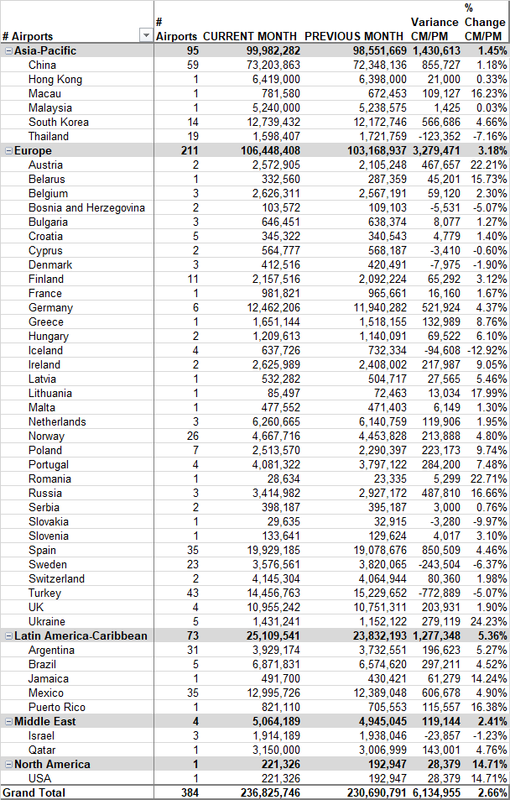 Its 5th of April and we can already have data for South Korea, Argentina, Mexico and some other countries for March! On the other hand we have technological advanced countries like USA and Canada and some of the airports in these countries did not even publish January data! That is just surprising to me if only! I wonder whats behind that delay. Well we know whats Chicagos reason, but the others? There are many cultural differences between Europe and Canada/US and this is one of them. Generally speaking Europe is very structured, formal, and thorough. Canada/US are very disorganized, informal, and sloppy by comparison. I've been over here now for decades but it still amazes me how non-chalant people are about everything. To a European they're careless while Canadians/Americans view it as being carefree. People here are very 'whatever'. Last edited by isaidso; April 6th, 2019 at 04:16 AM. 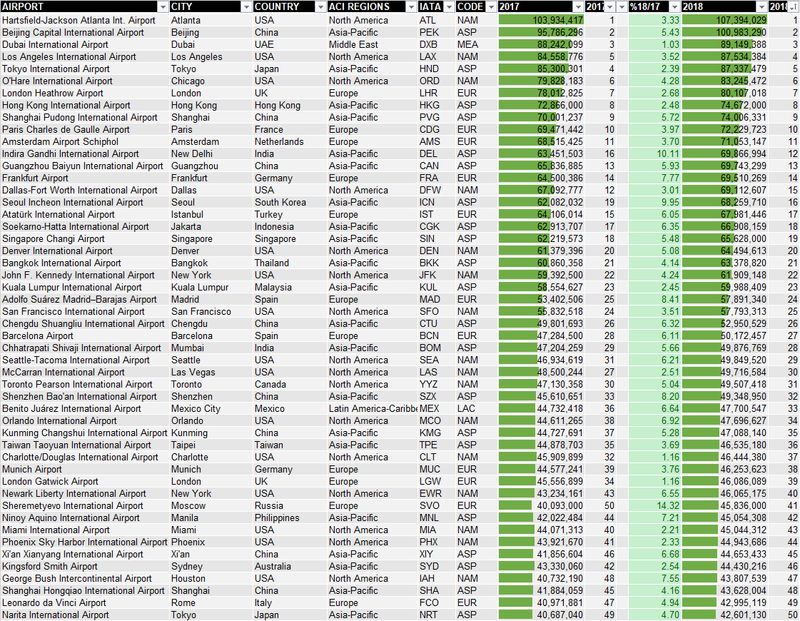 ORD, like you mentioned, hasn't published figures yet but here are the top North American airports by international passengers. I found it on another site so not sure how accurate it is or why there are no percentage increases for the Mexican airports. Pueblo Libre,"villa de los libertadores". Last edited by ROLIM; April 10th, 2019 at 02:24 AM. 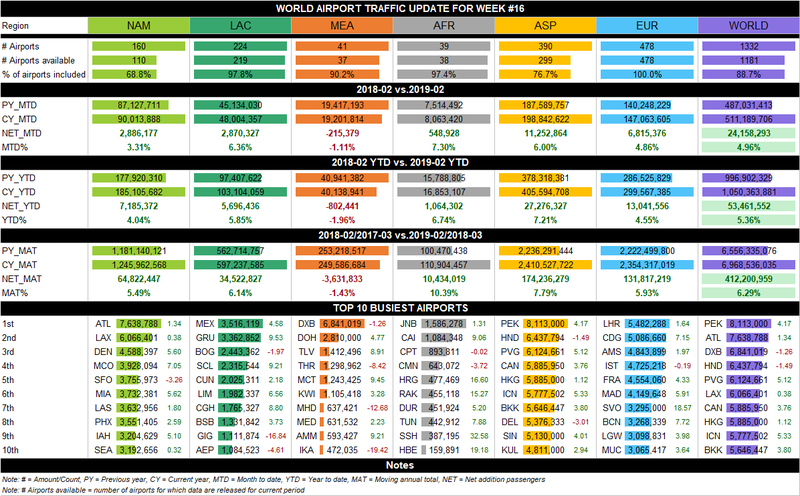 Separately Ireland, All Airports, final 2018 statistics will appear next thursday at this link below. It is about a month later coming out than the 2017 stats which were finalised in March 2018. Lag is normally 2.5 months after Q end. Last edited by bubbalo; April 15th, 2019 at 12:04 PM. 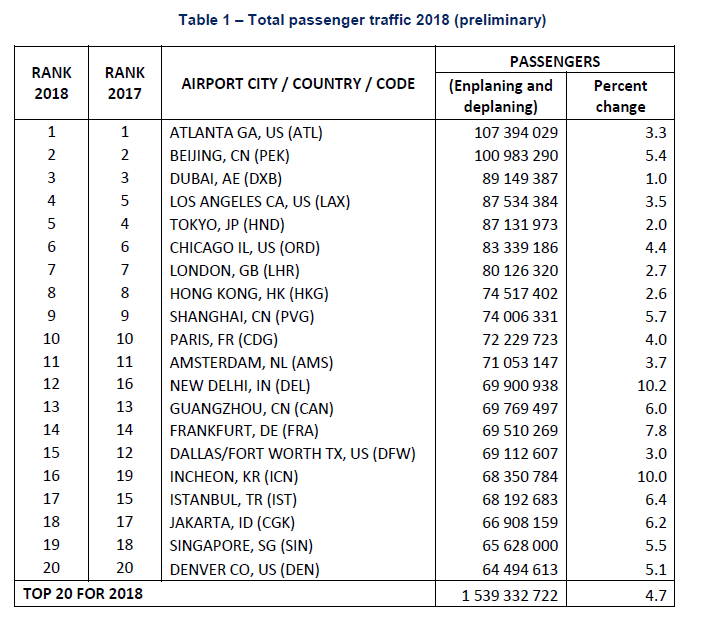 Any chance you could share a higher resolution image of the full 2018 passenger data for all airports (not just >10m). 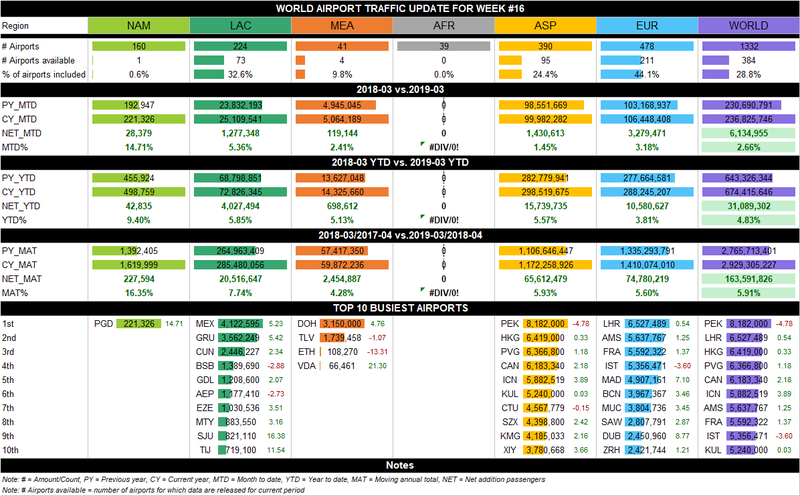 Appreciate your hard work on collecting these traffic reports! 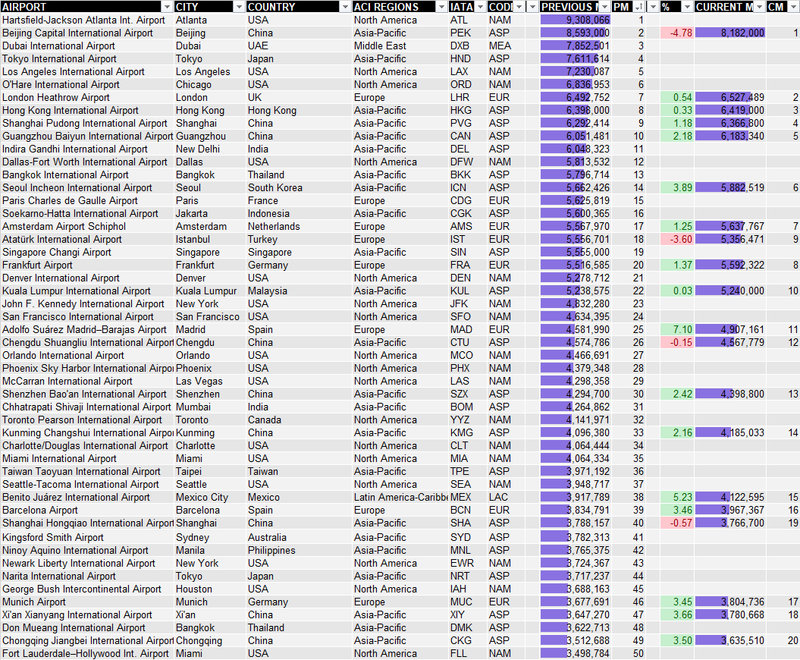 Hello guys, I know you have been waiting patiently for this, so let me share world busiest airports of 2018, feel free to download on the link above. All information attached in the sheet. Enjoy! Last edited by bubbalo; April 16th, 2019 at 11:27 AM.